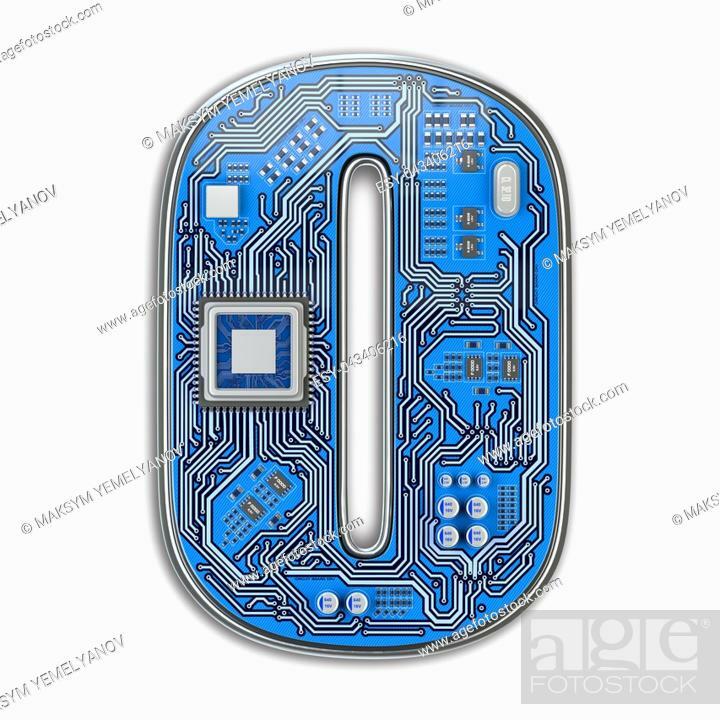 Foto de stock - Number 0 zero, Alphabet in circuit board style. Digital hi-tech letter isolated on white. 3d illustration.